In 1651, Oliver Cromwell invaded Scotland and desperately wanted to get hold of the Scottish Honours, or crown jewels, the symbol of the spirit and soul of Scotland, in order to destroy these icons and further his Parliamentarian cause. In a desperate bid to save the Regalia from certain destruction, a local minister, James Granger, and his wife Christian Fletcher entered the stronghold of Stonehaven Castle in order to rescue them from under the noses of the English. By hiding the jewels under her skirts, Christian Fletcher got away and buried them in the graveyard of the local church for safety. Together with her husband, Fletcher protected the Crown Jewels for eight long years, until the political changes of the Restoration meant it was safe to return them to their rightful place. But in the muddy waters of history, the name Christian Fletcher has been long forgotten, and a local Marshall, John Keith, took the credit for the safekeeping of the jewels, saying he kept them overseas for safety during the eight-year period. Granted the Earldom of Balfour for his supposed heroic role, this reward has remained in his family for hundreds of years, while the names Granger and Fletcher have been lost in the depths of time. 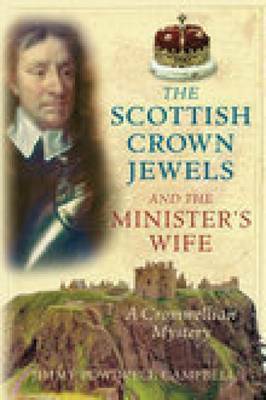 In this amazing account of one woman s fight to protect her country, Jimmy Powdrell Campbell uses incredible letters between John Granger and John Keith's mother, the local countess, to reconstruct the truth about the missing Scottish Crown Jewels. In a tale of indescribable bravery and undeserved glory, he reveals for the first time the extent to which the current existence of the Scottish Crown Jewels relies on the actions of a daring minister's wife, and how the credit for such an important undertaking has still, 400 years on, been given to the wrong man.